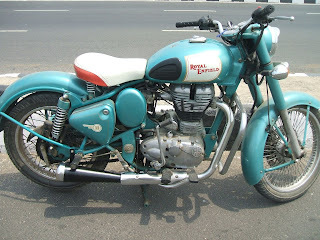 is none other than ROYAL ENFIELD. and their modifications that make it unique and different from others that what we are talking about. Today I'm talking about the exhaust and their myths in our mind. 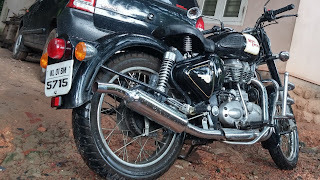 May be from my side yes we all know that Royal Enfield is known about its thump. So I mentioned some popular silencers which are ruling the market in its own way and I'm trying to clear all type of doubts in our mind. We want the legendary sound of old bullets that is the cast iron one. if you want the looks and feel of old bullet with the old charm this will be the exhaust for you. you should go for it. It gives you typical thump of old bullet and gives your bike an overall vintage look. 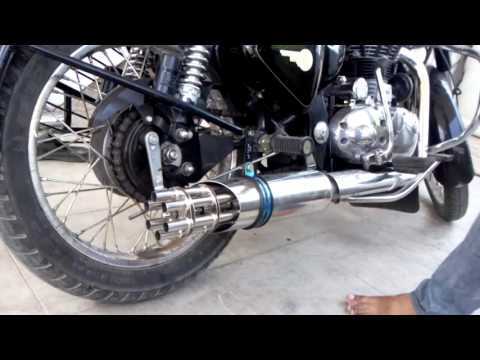 This silencer looks exactly like the indori but the science is this is a totally free flow exhaust there is nothing in the inner portion. 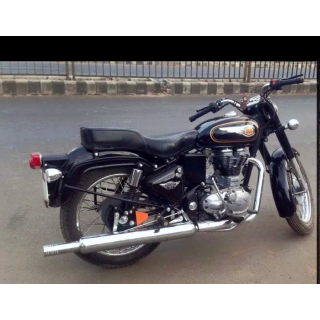 the changes that differentiate is this will be a little bit louder than the indori and one of the loudest silencer in the market. 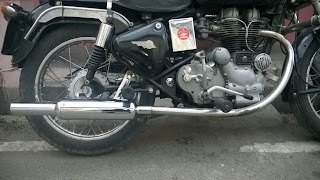 if you want an exhaust that is louder than other with conventional looks of old bullet than this is for you. 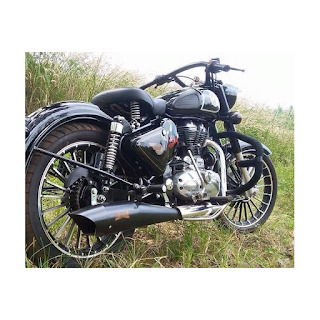 Big Punjabi silencer as the name mentioned the big silencer with vintage looks this is also total free flow from inside and the notable thing this is the loudest silencer in the market right now, it also enhances the overall look of the bullet. if you want there is nothing like you in the roads and you like the most louder one then take it. The way of its looks that define the upswept, it comes with the soft thump and as well as its own silence. 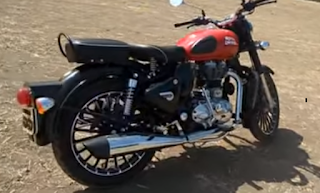 it enhances the looks and gives the decent thump for the rider. if you want a little bit higher thump than the stock and less than the aftermarket you should definitely go for this. Que.what is glass wool or Ceramic wool? and Why? Ans. A type of packing which filled on the surrounding of exhaust which makes sound much bassy than before. 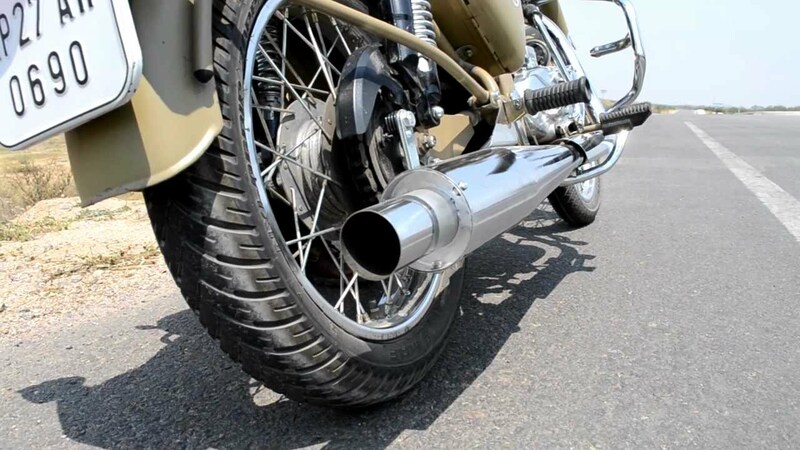 Most popular in indian market the dolphin exhaust for those who like thump with a good base. there is various type in the market some come with glass wool and other come with ceramic wool packing. 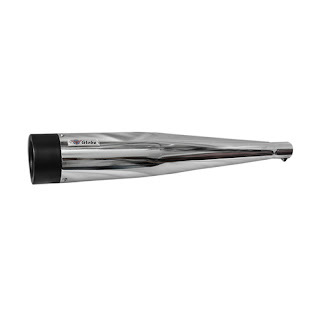 The best silencer for heavy bass wild boar provides a loud bass with good sound. The looks and fit and finish is good, there are two types of wild boar available in market one is full chrome and 2nd with matt black finish now the choice is yours. if your need is about heavy bass take it. this is not a DUG DUG thing its all about DHAK DHAK. 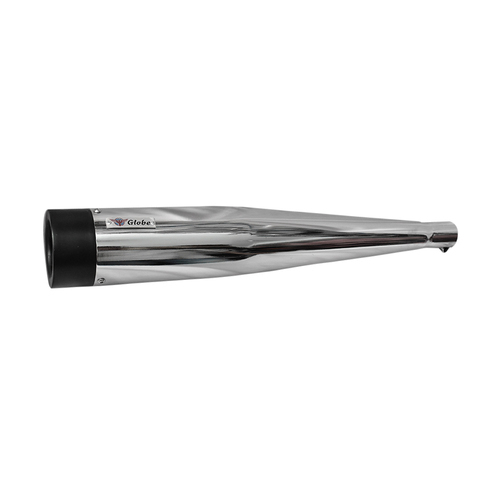 The sweet thumper which provides you sound just like the dolphin exhaust but in its own way, the looks are different and sound is good, the bass is perfect and overall this one isdecent and also come with chrome and matt black finish. if you want thump like Dolphin but in a different way Go for it. 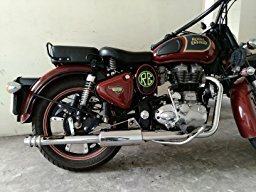 if you are a person who tries to enjoy their ride and looks are not priorities than this will be the perfect exhaust for you. Looks are normal its small than other exhaust. 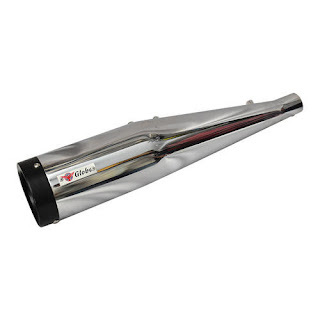 the only exhaust in the market which gives continuously thump even if we don't accelerate. Disadvantage = This is not a disadvantage but some people don't like the looks but sound is just perfect. if you want some old looks with glass-wool go for Goldstar this doesn't disappoint you. if you want something out of the box take a look on barrel exhaust. 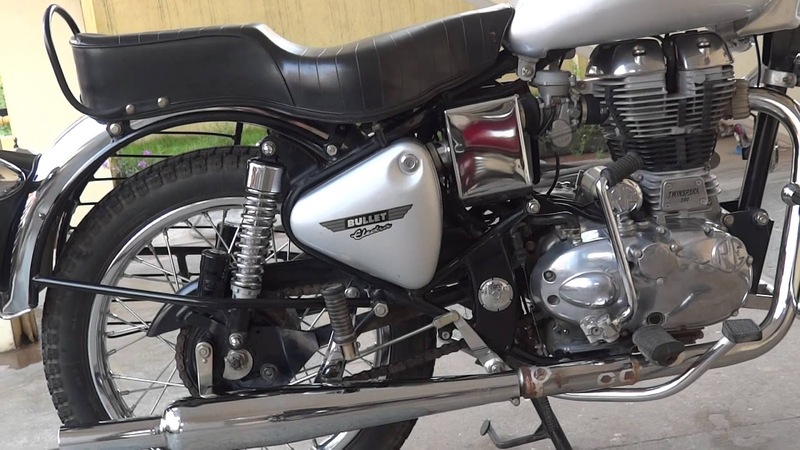 it gives a different identity to your bullet its all about looks. 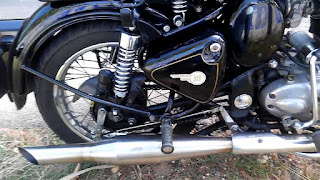 sound is not loud and not low this exhaust have lack of bass but the sound is ok.
if you want to give a unique identity to your ride and too much thump is not your priority than take a look at the tail-gunner exhaust. A typical thumper and comes with perfect level of bass and thump the thump is little loud and the bass is just perfect this one is good for everyone. if you don't want to think about too much for an exhaust you should definitely go for cobra. the price range starts with 3,500 to 20,000. With a unique justifying sound, the canon is something like you should think about it. It gives a decent thump it gives you good looks and gives the overall good performance in a practical way. 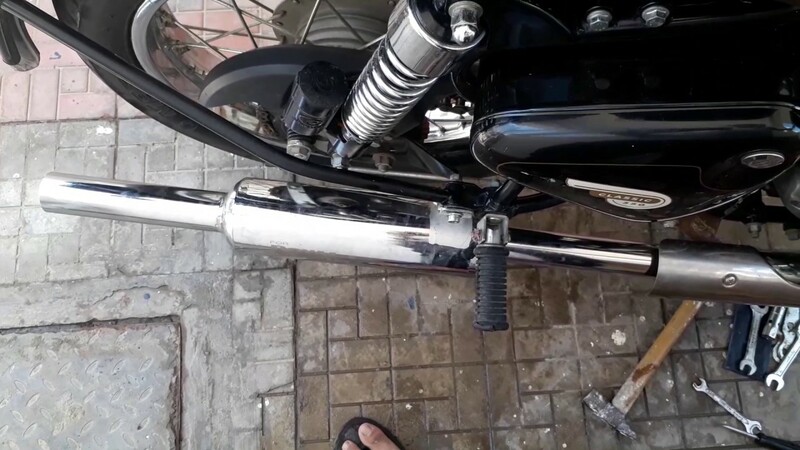 don't think too much about these exhausts, it comes with a perfect blend of thump and bass. if you like it take it. 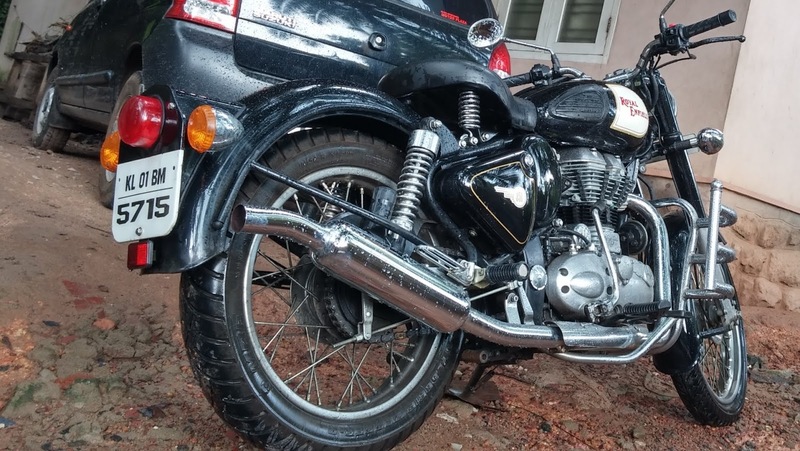 As name mentioned PERFORMANCE it's a performance oriented exhaust that enhances the over all performance of your bike it gives good thump not too loud and heavy, just perfect. It comes in 3 shades chrome, matt and matt black. The fit and finish are great specially the chrome finish that's justifying the price of the redrooster. if you can spend 10,000 for a good exhaust this is for you. He is an Enfield Lover and a lovely character with fun-loving mood and always ready to destroy his enemies by making them friends. Excellent article, for me its all about the boss, the length and girth give of great acoustics, only downside is the lack of back pressure, the phrase all fart and no follow through come to mind..